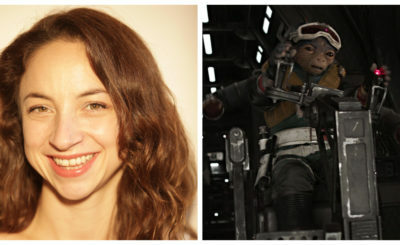 Sharmila Devar was the voice of Ursa Wren on Star Wars Rebels. Devar has also appeared in the TV series Outsourced where she played Lata and Scandal where she played Lauren Wellman. 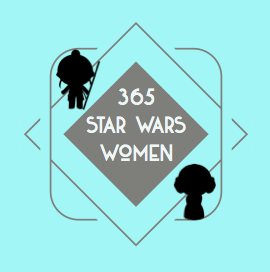 Devar was kind enough to answer a few questions via email for 365 Days of Star Wars Women. 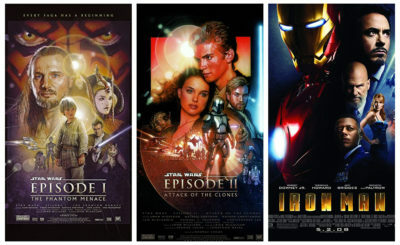 My bro and I both grew up as Episodes IV-VI kids. Star Wars was a BIG deal. I remember it playing on TV when I was young and we were OBSESSED. My bro even had a Millennium Falcon model. We had a Yoda puppet & light sabers & some of the mini action figures. 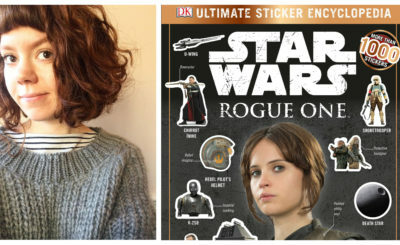 My favorite SW movie is Rogue One. I re-watch it all the time – I think I’ve seen it over 20 times. It is so deep and moving – and tragic. As much as I love the Skywalker clan, I always wondered about the folks who died for the Resistance. I wanted to know their stories. As a kid, Leia definitely was my favorite character – Carrie Fisher was a rock star. But, I’m embarrassed to say I also had a thing for that laughing hyena-like pet of Jabba The Hut. 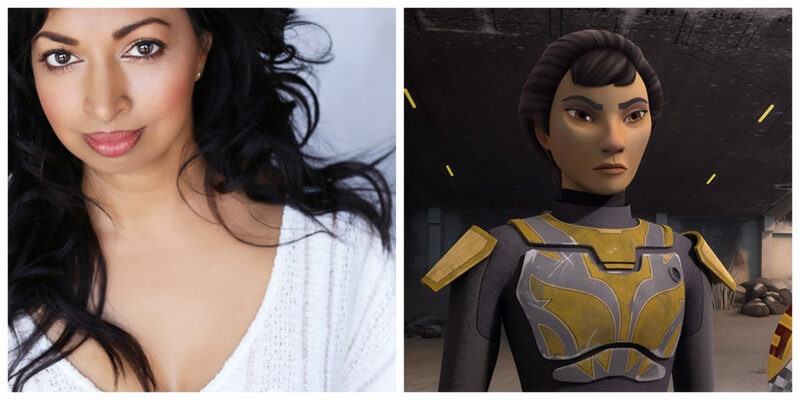 Before your work in Star Wars Rebels you appeared in recurring roles in the TV series Outsourced and Scandal fairly early on during that show’s 7 season run. What were those acting experiences like? When you started your role in Scandal (one of President Fitz’s assistants Lauren Wellman) was the show already hugely popular with fans? Did you have any big secrets to keep during your run on that show? One of the best aspects of my job is that every opportunity (and character) brings unexpected joys. On Outsourced the team created such a sweet good-natured family friendly sitcom. I still meet people (and not just South Asian ones) who tell me how much they miss that show. The showrunner Robert Borden, the writers & the producers were really generous, and I got to work with directors who were comedic masters. Plus, playing with those hilarious quick-witted comedy actors was a blast. It was my first experience as part of a TV family – and I’m still friends with some of those folks to this day. 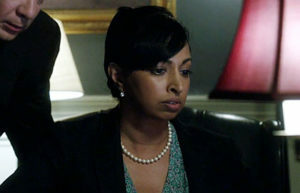 Shamila Devar as White House aide Lauren Wellman in Scandal. I started on Scandal during the time it exploded to become the #1 show on TV. So it was quite an exciting job to have. All of the actors I worked with – Tony, Jeff, Scott, the immensely talented Bellamy & of course Kerry (who is such a generous and funny person) – were at the top of their game and I learned SO MUCH from them. I got to work with directors like Ava DuVernay, Tony (who in addition to playing President Grant directed some episodes) and Tom Verica, who always championed me & Lauren. And, of course, Shonda’s writing was masterpiece monologue within masterpiece scene. Dense and rich and complicated. Messy, heightened, but so very human. But the most rewarding thing was how inspiring it was to so many women – particularly women of color. I will always be humbled that I got to be part of such a cultural phenomenon. As for secrets, I knew some – and I also knew to keep my mouth shut in case anything I didn’t think was a secret was actually a secret! How did you become the voice of Ursa Wren? Did you know you were auditioning for a Star Wars character at the time? People always told me I would be good at voiceovers – I have a pretty wide range & a few of my on-camera characters have had unique voices. So I had been auditioning for animated shows and films on and off through the years. I also have narrated audiobooks and done a few radio readings/plays – so it wasn’t a completely unfamiliar world to me. As for becoming the voice of Ursa – thanks to Lindsey the SW Casting Director and my great agent Mike – I auditioned! Quite blindly in fact. I was given a few notes about the character, some lines (many which were just written for the audition) and some performance notes. I think I knew it was for Rebels, but not much else. Sometimes you get lucky and magic just happens…. I heard Ursa’s voice very clearly in my head and decided to go for it. How would you describe Ursa Wren as a character? Ursa Wren is a powerful, sometimes cold, warrior queen. Honor and power are big things for her. She can have a dangerous temper. Like Queen Margaret from Shakespeare. Like Cersei (right?) from GOT. She has always known her #1 responsibility is to Mandalore. For Mandalore, she would sacrifice her life. She loves her children but struggles with her role as a mother. When you are a person who is always rigid and in control, it is difficult to accept those who defy you. Especially when they are your blood. Especially a rebel like Sabine. I always felt like that was her central conflict – love and pride for her wild daughter vs. love and duty for her country & traditions. I know Rebels tried to do recordings with several actors present in the same room if possible. Were you able to record in the same room as other Rebels actors for your episodes? We did. Dave was great creating that atmosphere. From what I remember, for most of the sessions, everyone who wasn’t previously committed to another project was there. They all were so welcoming, tremendously talented and incredibly kind. And fun! We had a lot of laughs while recording. Do you have a favorite episode you worked on for Star Wars Rebels? Or perhaps a favorite line? I still love that first episode, because it was the first time I got to see and hear my Ursa come to life. That was so exciting – I’ve only ever played a character like that on stage, so it was thrilling to see it realized on TV, where so many more could experience it. Off the top of my head I can’t think of a favorite line, but I do have a favorite moment. When Ursa shoots – I think Gar Saxon – there is a moment when right before the shot, the Darth Vader theme plays. I was recording pickups in the studio and when I heard that, I couldn’t stop smiling. It was one of those moments I’ll remember for a long time. 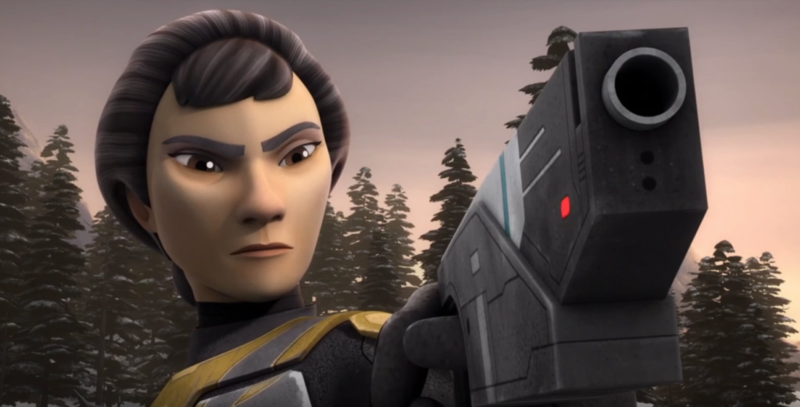 Would you be interested in playing Ursa Wren in future Star Wars projects? YES PLEASE! Anytime and anywhere. Are you interested in doing more voice acting work? I am. I really enjoy the opportunity that it allows – you aren’t limited by your physicality, your skin color, your looks, your age… And the collaboration is really rewarding – it isn’t just me and the writers/director creating a character. Ursa Wren doesn’t exist without the artists who animate her. So it is this incredible experience where anything is possible. Have you had many interactions with Star Wars fans since you started with Star Wars Rebels? Not too many, other than being the most popular Auntie among my friends’ kids. But I have received some moving and heartfelt letters from Star Wars fans. I have a board in my office where I post all those letters so I can be reminded that I was part of this iconic world. I have a few projects that I’ve been working on with writer/producer/director friends – but they are all in the early stages. I’m most excited that I will next be seen in Noah Baumbach’s new feature starring Scarlett Johannson and Adam Driver. I’ve been a big fan of Noah’s work for a long time – and working with him did not disappoint. So I’m really looking forward to seeing it – and me in it! You can find Sharmila on Twitter and Instagram @sharmiladevar.